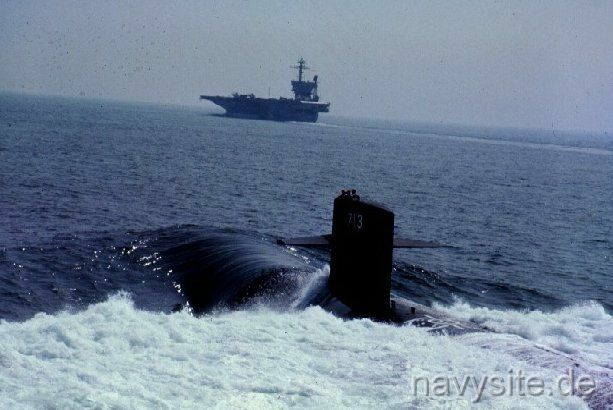 USS HOUSTON was the 26th submarine in the LOS ANGELES class and the 8th ship in that class built by Newport News Shipbuilding in Newport News, Va. 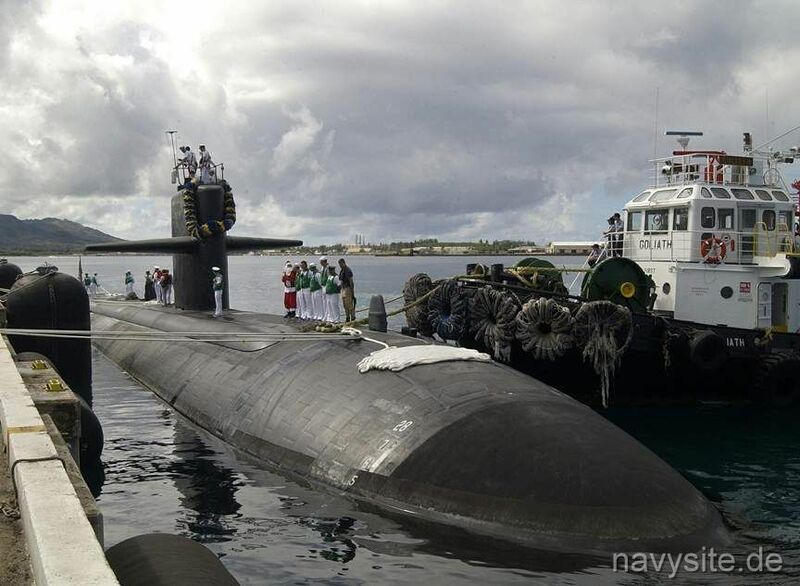 In December 2004, the HOUSTON changed her homeport from San Diego, Calif., to Apra Harbor, Guam. In January 2012, her homeport again changed from Guam to Pearl Harbor, Hi. 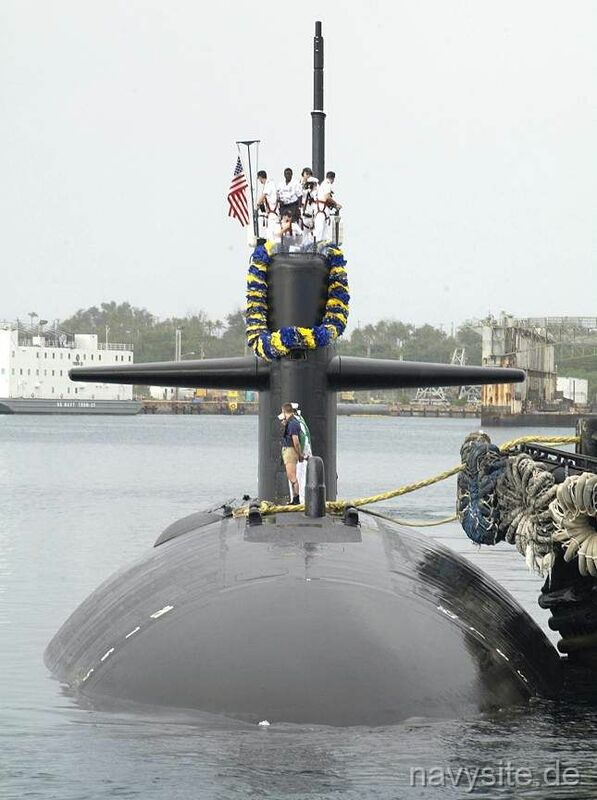 On June 6, 2016, the HOUSTON departed her homeport Pearl Harbor, Hi., enroute to Bremerton, Wash., to commence her year-long inactivation process. 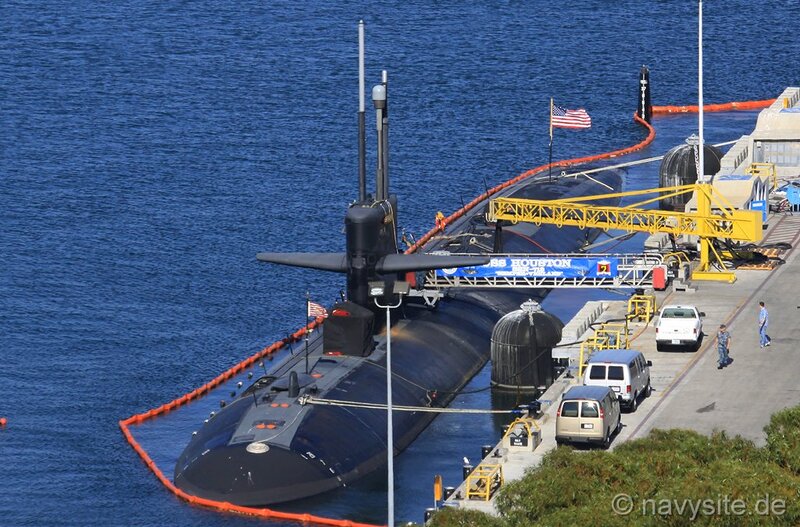 A decommissioning ceremony was held on August 26, 2017. 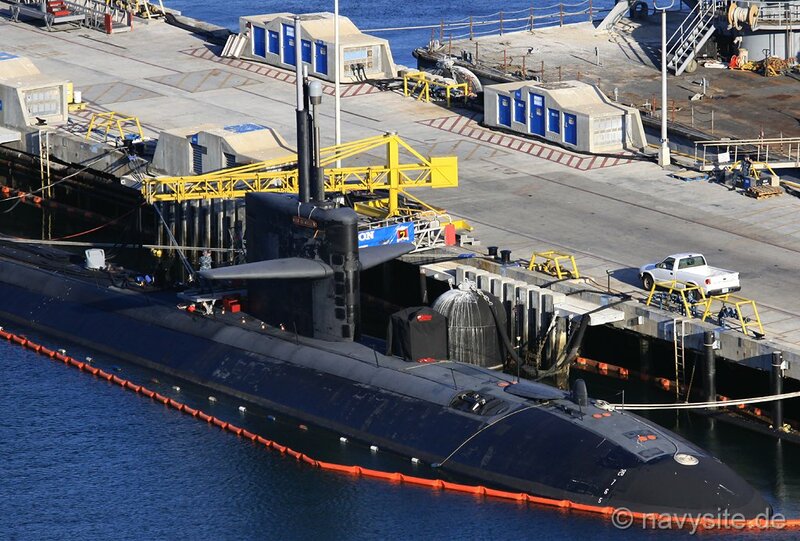 However, the submarine was officially decommissioned and stricken from the Navy list on August 24, 2017. This section contains the names of sailors who served aboard USS HOUSTON. It is no official listing but contains the names of sailors who submitted their information. 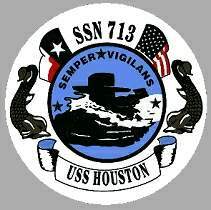 Click here to see which USS HOUSTON memorabilia are currently for sale on ebay. 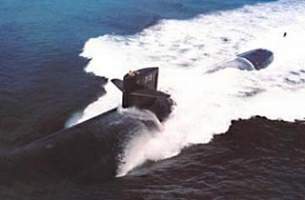 A broken valve causes USS HOUSTON to plunge nose down. 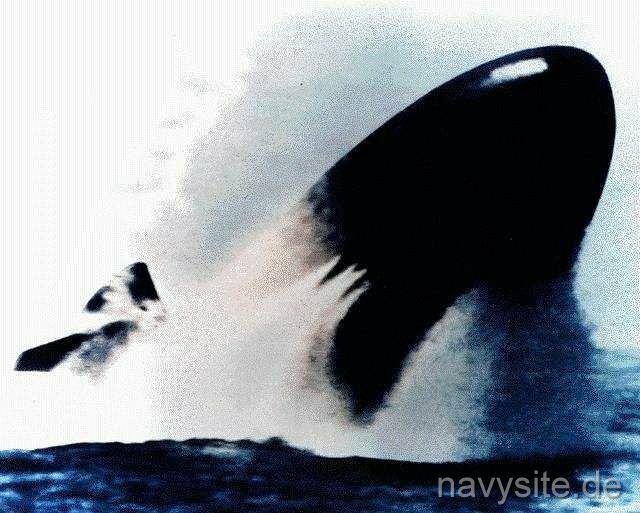 June 14, 1989 San Pedro Channel Near Santa Catalina Island, Ca. 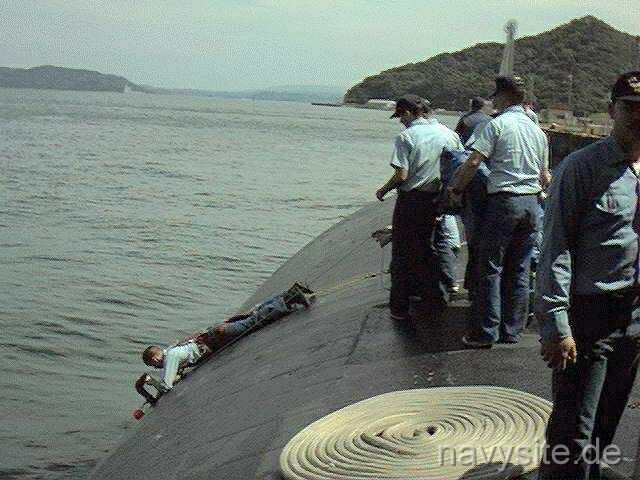 USS HOUSTON snagged a tow cable attached to the tug BARCONA, pulling it under and killing one of its sailors. The tug sank in 2,400 feet of water 10 miles southwest of Long Beach. After participating in the filming of the "Hunt for Red October", USS HOUSTON shreds net of fishing boat FORTUNA. Damage to the net is estimated at $2,000. A flooding incident aboard USS HOUSTON results in eight crew members being reassigned for psychological reasons. A small fire is reported aboard USS HOUSTON. 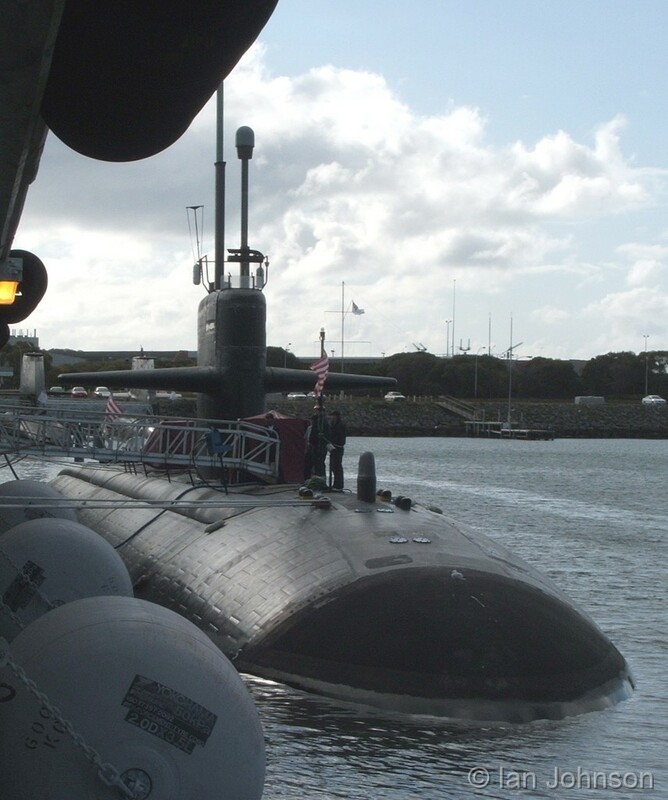 An incident with a torpedo is reported aboard USS HOUSTON. 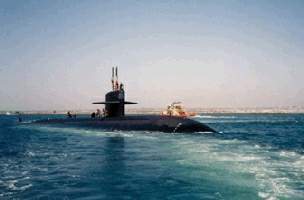 A navigation error aboard USS HOUSTON results in the loss of a sonar device. The photo below was taken by Ian Johnson and shows the HOUSTON at Fremantle, Australia, on September 4, 2005. 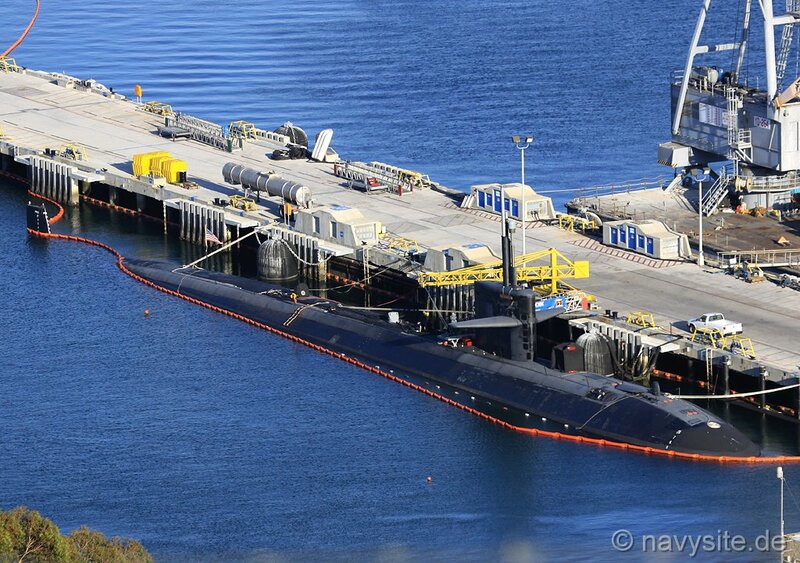 The photos below were taken by me and show the HOUSTON at Submarine Base Point Loma, Calif., on October 4, 2012.